Each year, over 140 million pieces of mail are marked as undeliverable. This happens for several reasons which include incorrect address format, address no longer exists, and mail refused by an addressee to name a few. 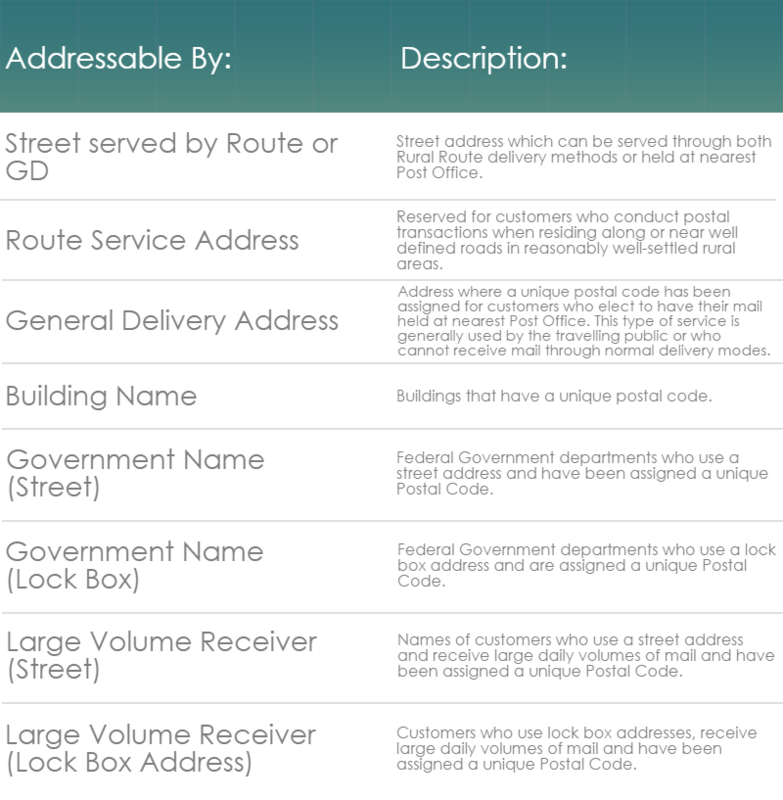 This article seeks to clarify some of the most common questions regarding Canadian address types and proper formatting techniques to ensure the highest degree of deliverability. In general, most mail processing machines are designed for sorting addresses which are printed in upper case format. This differs however with the methods in which data is typically stored in Enterprise CRM systems, which usually prefer proper casing of address information for readability. The decision of which preferred format depends on the application, but for direct mail it is recommended to use all upper case. There are instances where communities can amalgamate and customers continue to use the old name. This can present challenges to proper delivery of mail, which is referencing an older municipality name which may no longer exist, or be designated for an area outside of the current area. It is recommended to ensure the municipality name provided is most current for the address provided.